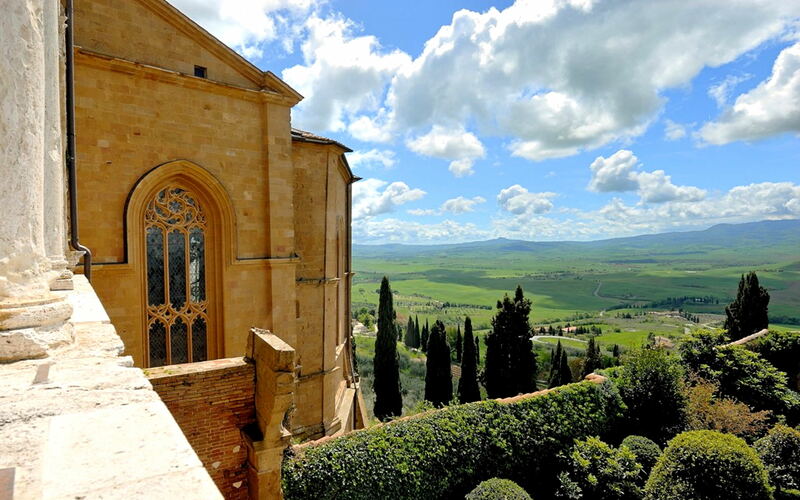 Beyond the normal itineraries of the Val d’Orcia, to discover the most secret sites of Pienza, the ideal city. 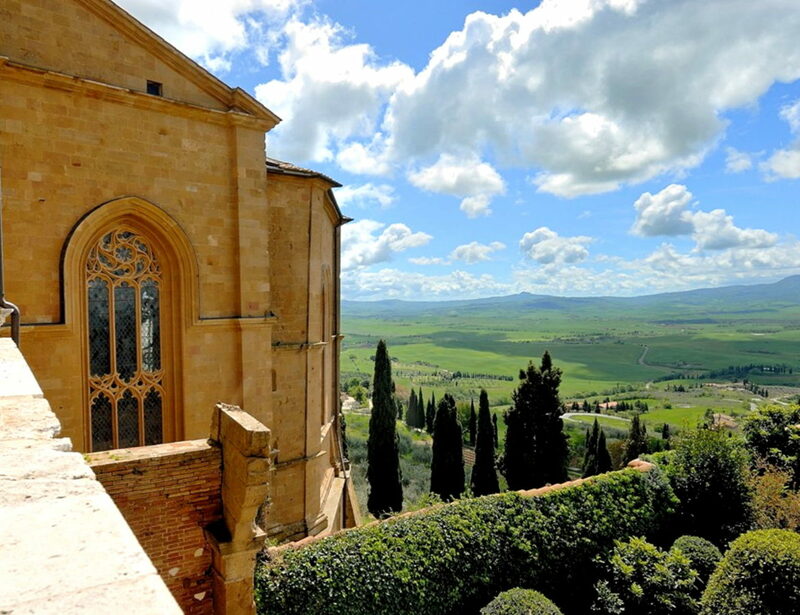 Pienza is a Renaissance village kept in the hills of Val d’Orcia. In 1996 its historic center was named a UNESCO cultural heritage, as the first application of the Renaissance conception of urbanism, as well as an example of an “ideal city”. The group of buildings around the central square turns out to be a masterpiece of human genius. Should the beauty of the main square not be enough, discovering the most secret sites of Pienza will astonish you even more. Overlooking Piazza Pio II, Palazzo Piccolomini is one of the jewels of Pienza, with its panoramic garden and its rooms full of history and charm. The visit of the Hermitage, namely an ancient sacred place for meditation just outside the historic center, will give you strong emotions with its particular carvings in the sandstone. End the tour with a tasting of Pecorino cheese at different stages of aging at a typical shop in the historic center.